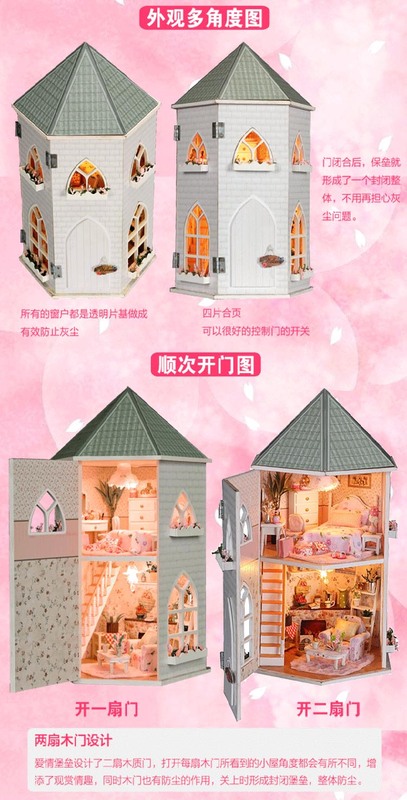 Products is not finished, composed of wood, paper, cloth and other small parts, need to assemble by yourself, assemble the dollhouse need for careful and patient. 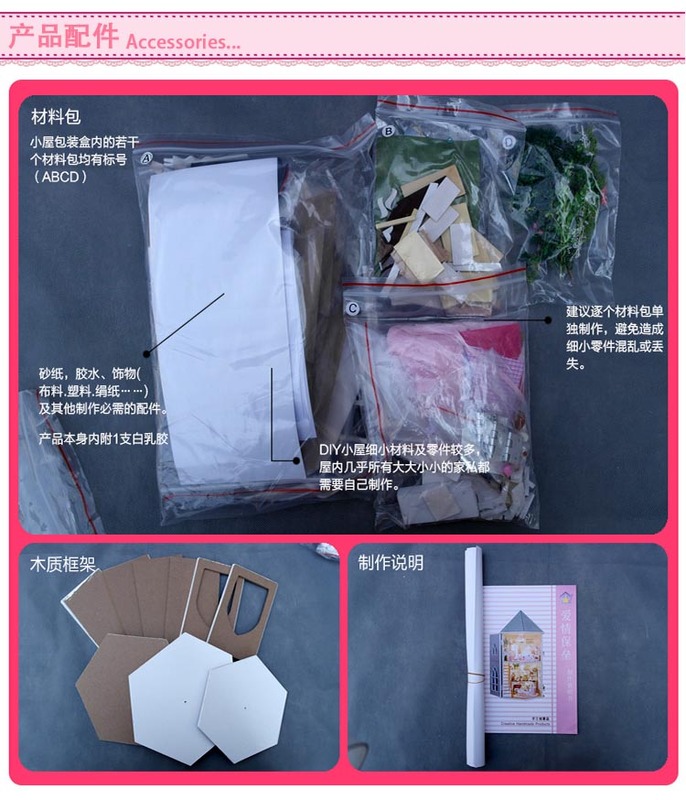 1, in the product package comes with instructions for making detailed ( please send me your email if you need english instructions for making detailed ). 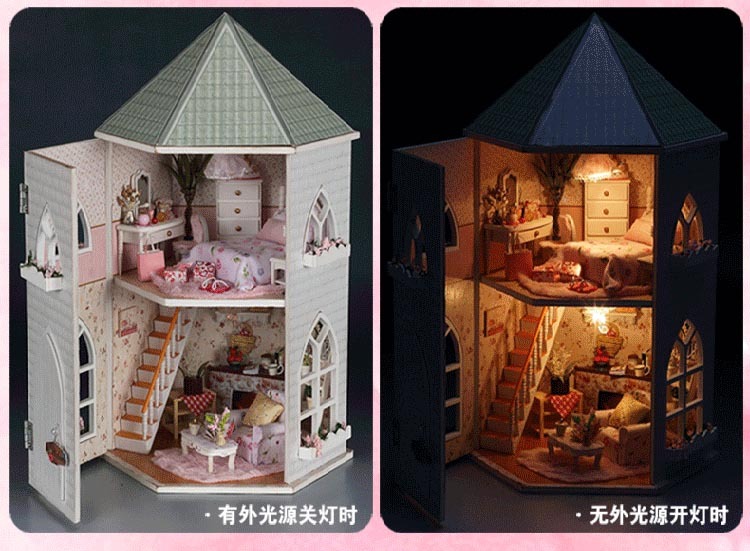 3, mainly through, paste, assembling, modeling, placing the DIY process, the production of complete you lovely house. 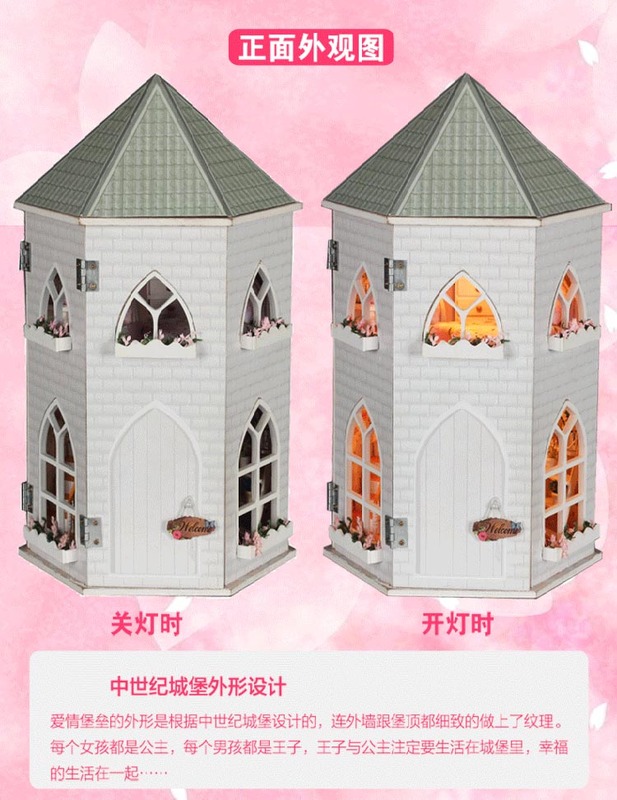 Note: the DIY lodge for material package, no fiinished product, need to assemble!